History is more than stones and bricks. A trip down heritage lane might start with a fight for a space in a castle car park but what brings visitors to the past are the stories of those who lived there. Even the most impressive palace is made more beautiful and intriguing by the knowledge of the loves and lives that echoed through its walls. There isn't a building or monument that's survived long enough to be classed as historic that doesn't have a tale attached. Its story, like many others, will have been passed down through generations and its very telling binds those who know it now to those who first described it, centuries before. When the stones and bricks that hold our history are threatened, it's not just the architecture and design we fear losing. What's at risk is the common telling of our shared past. If you're a) a king and b) turning fifty then a takeaway in front of the TV isn't really an option. 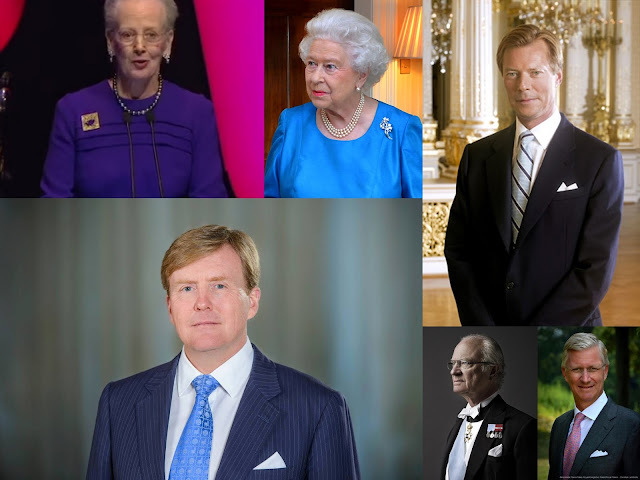 Willem-Alexander of the Netherlands has thrown a birthday celebration and then some as he makes his royal half century and the glittering high point came at a special dinner in Amsterdam. 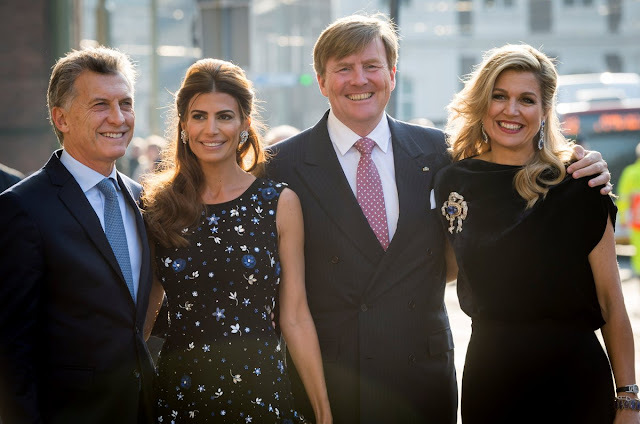 Along with Queen Maxima he welcomed 150 people marking special birthdays themselves on the same day as him (April 27th) before an exhibition celebrating his fifty years opened for fifty hours, non stop, at the Royal Palace in Amsterdam. Oh, and there was a group photo involved what looked like most of the city. This king knows how to party. 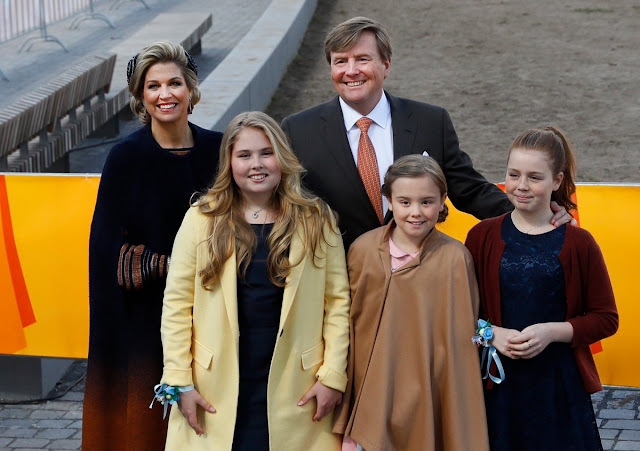 The Dutch Royal Family has joined Instagram and they picked a pretty special day to do it. 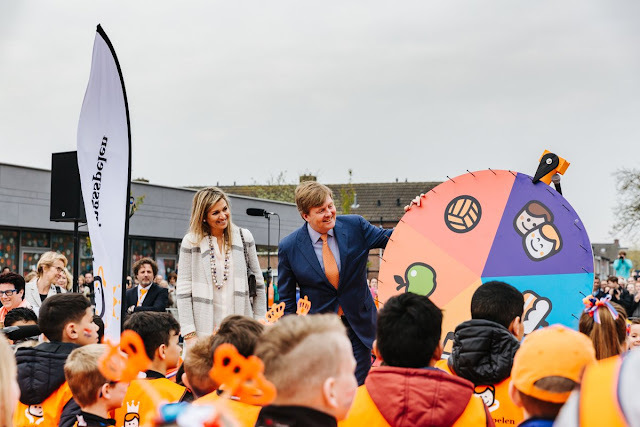 As the whole of the Netherlands began enjoying King's Day celebrations as Willem-Alexander turned 50, the ruling house joined social media's photo hub. 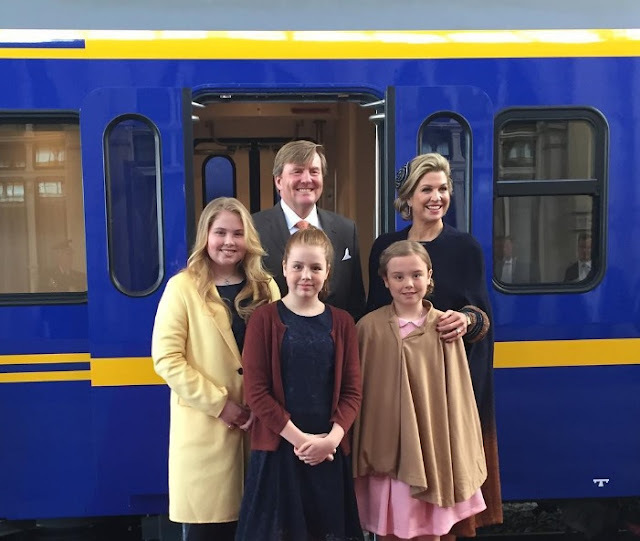 The picture for the history books is this one, of the King and Queen of the Netherlands and their three daughters arriving in Tilburg by train for King's Day. It's their first Instagram snap and it wasn't lonely for long. 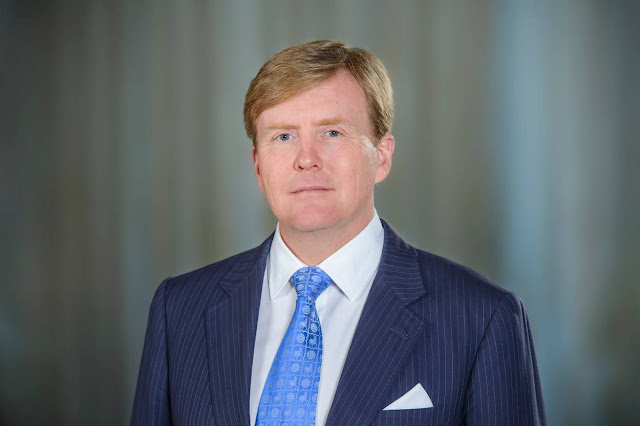 King Willem-Alexander of the Netherlands is 50 on April 27th 2017 and ahead of his big birthday come the official portraits. You don't do the whole half century thing without official photos. 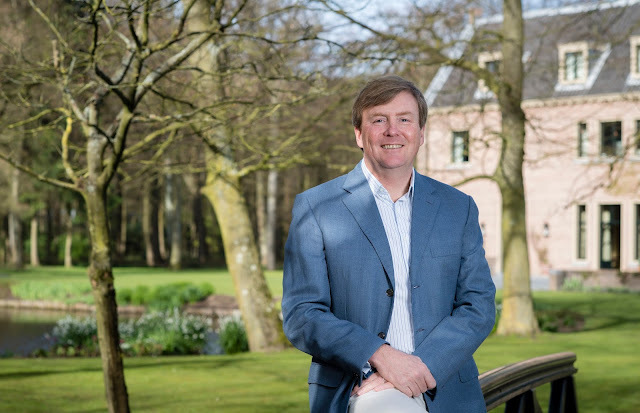 The Dutch King is seen in a series of relaxed images, filled with spring sunshine, in which he is centre stage. 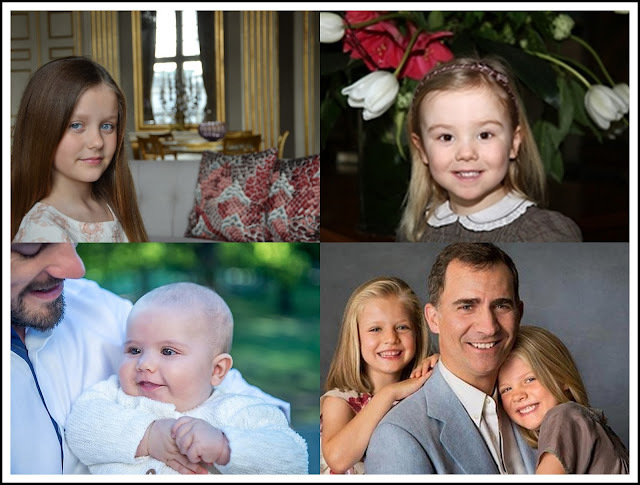 We get to see him with his wife, Queen Maxima, and their three daughters tomorrow on King's Day but ahead of that celebration, these photos are all about the birthday boy. When it comes to royal style, Queen Maxima wears the trousers. This week's Royal Wardrobe asked why we don't see queens and princesses in trousers more often - it's one area where they're usually out of step with what's on trend. There was a poll, too, on the best royal pick of the week and that was won by Maxima. One of the most eye catching royal outfits of the past week was the spotty dress worn by Crown Princess Victoria. It send plenty of people dotty for many reasons, most of them coming back to the fact that it just looks great. In honour of Victoria's spot of royal fashion fun, here are six other dot to dots. See if you can spot a favourite. 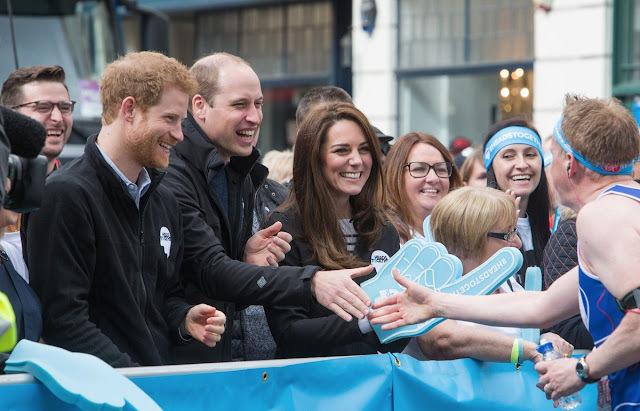 The Heads Together London Marathon has taken place today with the Duke and Duchess of Cambridge and Prince Harry cheering on runners throughout the day. The royal trio got the big race underway, hugged many of the Heads Together team, handed out water to runners on the way and ended up sipping water at a rather sophisticated warmdown after the race had finished. 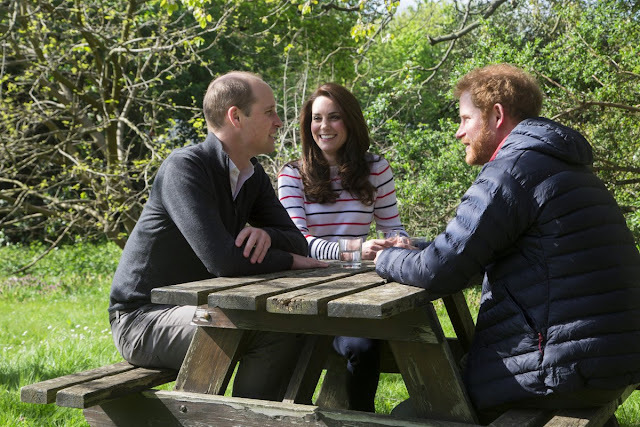 This week has been a great success for #HeadsTogether, announced on marathon day last year by William, Kate and Harry. 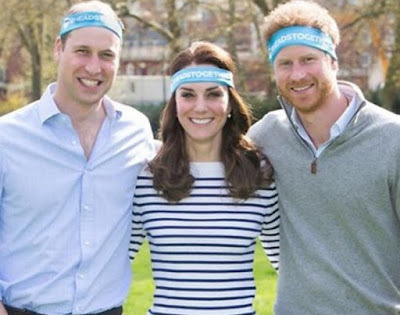 Here's a look back at one of the major moments of the campaign - it's that royal trio, at the #HeadsTogether London Marathon, in pictures. Why don't royal women wear trousers more often? OK, it's not the most mind blowing question you'll consider today, or in the next half hour, but it is an interesting point. At a time when royal fashion is increasingly seen as reflective of modern style, and that modern style increasingly gives us trousers and pants suits, queens and princesses still seem far less likely than other women to follow the trend. Is it because they just prefer skirts or dresses or is there still an expectation that they'll leave the oh so modern, only really acceptable since the start of the 20th century women wearing trousers for another day? 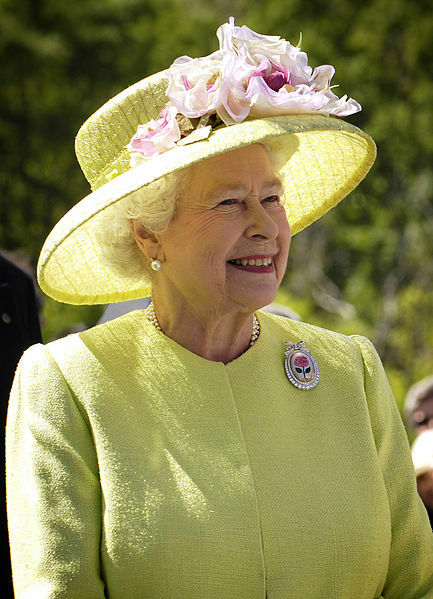 The Queen celebrated her 91st birthday today. 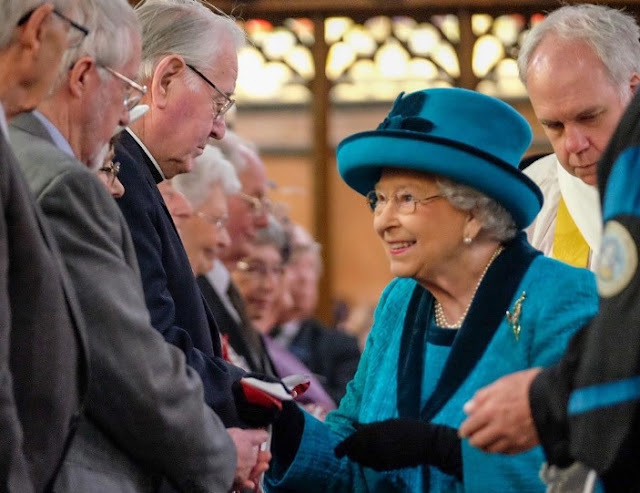 The celebrations were nowhere near as big or grand as last year's epic 90th celebrations but there was still a lot of joy taken in marking this special day. Twitter went nuts with all kinds of royal birthday related trends and the official accounts of the Royal Family shared some rather lovely photos. There were also some great pictures of the Queen as she celebrated her big day with some time at the races, heading to Newbury. Here's a look back at the Queen's 91st birthday, in images. Big sighs of relief all round. We do still get a State Visit this summer. After Theresa May sprung a surprise election on everyone earlier this week (shock all round apart from Buckingham Palace where the Queen got the news the day before), the planned trip of King Felipe and Queen Letizia was in the spotlight again. With their State Visit in the diary for June 6th to 8th and the election on the 8th itself, there were questions about whether it could still happen as planned. Today's definitive answer was tiaras in July. 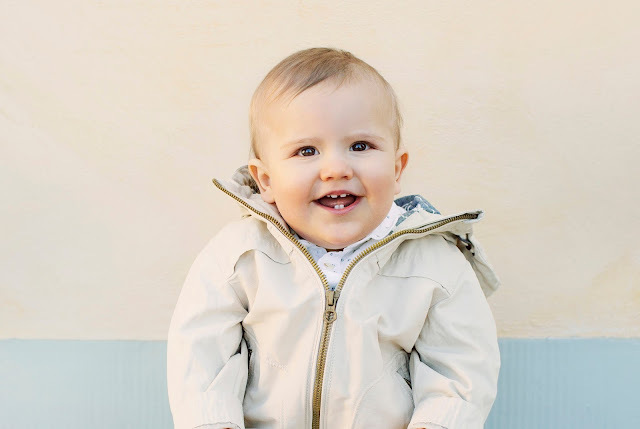 The (current) littlest prince of Sweden turns one today. Alexander Erik Hubertus Bertil, Duke of Sodermanland celebrates his landmark birthday on April 19th and has this royal routine sorted already. He's starring in three portraits to mark his special day. The best royal wedding dress of all? It's a dress so famous that you know what it looks like before you've even seen an image of it. 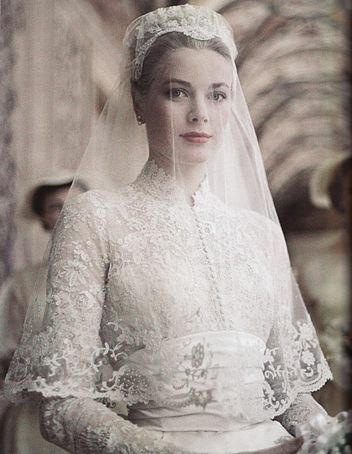 The wedding gown of Grace of Monaco, worn to her religious marriage on April 19th 1956, is so well known that it has a cultural identity of its own. And when you do look at photographs, they are familiar and fascinating all at the same time. The perfect poise and elegance of this new princess is wrapped and surrounded by this beautiful dress. The Queen of the Belgians strikes again. In a poll to find the favourite Spring State Visit Style of 2017, it was Mathilde who came out top. 'Do you know how amazing it is, what you've just said?' Bryony Gordon's question to Prince Harry almost stops him in his tracks but her feelings have been echoed by a lot of people in the last few hours. The Daily Telegraph journalist has been speaking to Harry about mental health issues for her new podcast, Mad World. 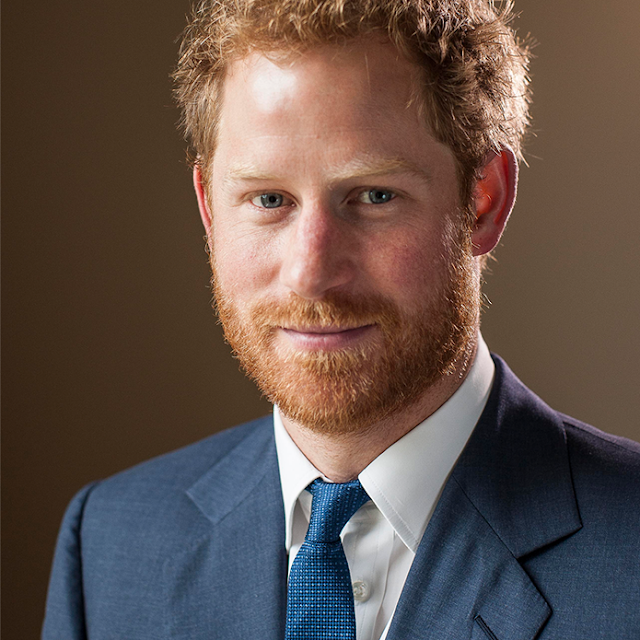 And as that goes live, and makes headlines around the world, we find out that the fifth in line to the throne is ready to talk about how he kept his feelings about losing his mum, Diana, hidden for so long that he sought counselling that has made him happier, healthier and has helped him achieve more of his dreams. Easter brought a right royal treat. We got queens, princesses, duchesses and kings and all before lunchtime. Like a sweet little basket of treats that kept on giving, there were royals to be seen everywhere. This little regal fix should keep you going for at least a day. This week's poll is slightly different. After spending a week looking back at recent Spring State Visit Style, it's a chance to pick which of these official royal wardrobes ticked the most boxes for you. 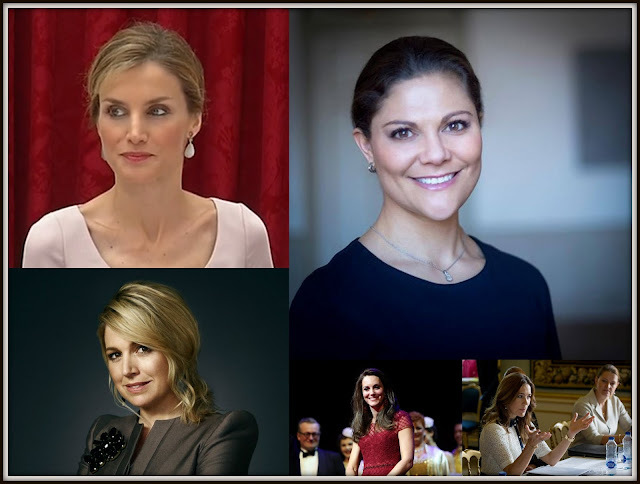 The choice is between Queen Maxima, Queen Margrethe, Queen Letizia, Queen Mathilde and Crown Princess Mary and you can remind yourself of their looks by clicking on the link here and then voting below or in the poll on the right (you might need webview). Let's get sparkly. The birthstone of April is diamonds and let's face it, they're not hard to find in the royal collections of Europe right now. To be honest, you can't really have a tiara without diamonds (there are exceptions but they kind of prove the rule more than anything else) so this is going to be a busy month in the Calendar of Jewels. To keep things under control, there's a rule. The tiaras in this month's selections have got to be pure diamonds. If that heirloom diadem has got a few rubies in it as well, see you in July. What's that you say - just a sprinkling of pearls? Run along to June, we'll talk then. April's birthstone is the boss of the jewellery box and over the coming weeks it's featured sparkling alone. Let's start in Belgium - here's Diamonds for April. What do you get the man who has his own kingdom for his birthday? How about a very special serenade. 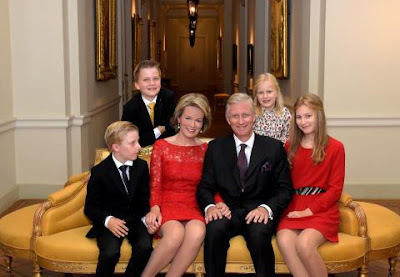 As King Philippe of the Belgians turns 57, he's shared a surprise gift on the official social media channels. And it's really rather lovely. The Spring State Visits have really made their marks in the past couple of weeks. 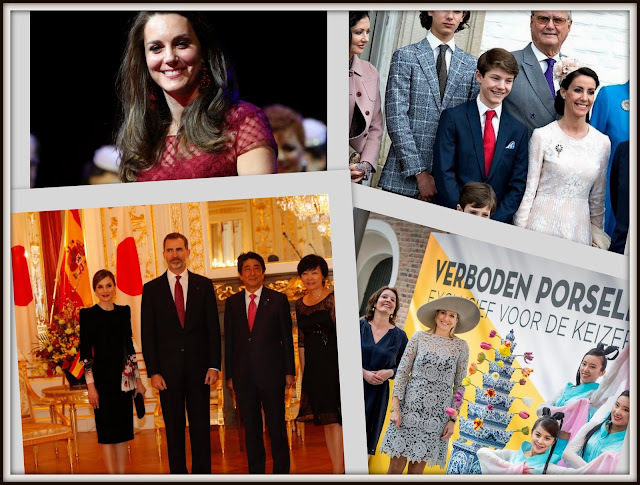 Maybe it's the sunny weather, maybe it's the fresh line that several of the events seemed to take, but the recent trips have gone from being regulars on a royal calendar to must watch occasions. 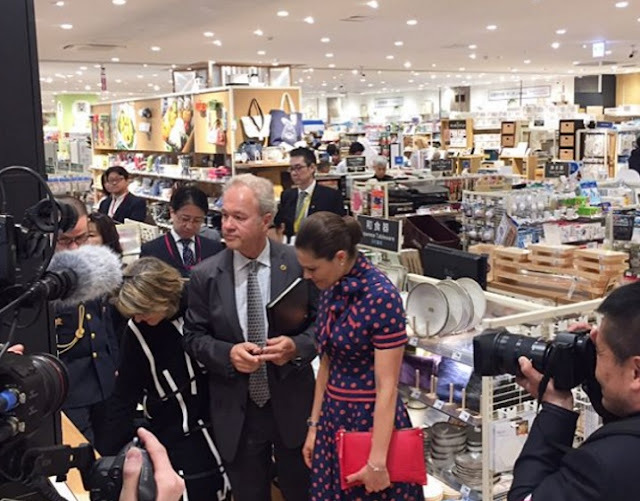 They've been pretty stylish too and we ended with a flourish of fashion as Queen Letizia of Spain packed in six outfits on her recent trip to Japan. Here's a look back at Leti's Spring State Visit Style. Forget me nots. Three words that sum up a project that will bring a smile to thousands of people over the coming months. For the little flowers, all in white, have come to life in a garden that's been planted and is being nurtured all through this spring and summer in memory of Diana, Princess of Wales. The White Garden at Kensington Palace is one of several ways in which she's being remembered this year, the twentieth anniversary of her death. And now visitors are enjoying the sight and smell of the flowers, planted in memory of Diana. The Queen has distributed Maundy Money today in a tradition going back centuries. And today's ceremony, despite its ancient roots and the Queen's long rule, brought a new chapter in the historic reign of Elizabeth II. A Spring State Visit is a thing of loveliness. The ceremonial sparkles in early sunshine, the days are longer meaning more chance for outdoors engagements and everyone's still feeling jolly when the big jolly that is the State Banquet arrives. The recent Belgian State Visit to Denmark is a case in point. Picture perfect from start to finish, it flourished in the spring weather and left an album full of outstanding images. 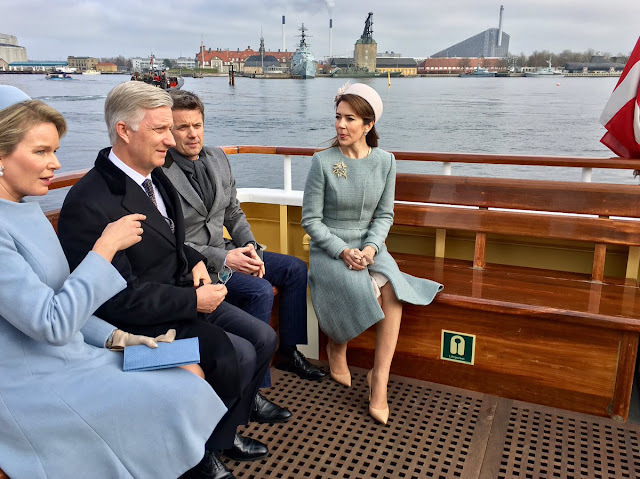 Among them is the Spring State Visit Style of three roytal All this week, we've been looking at Spring State Visit Style and today we arrive in Copenhagen to look back on Crown Princess Mary's contribution. Here's her spring take on that staple of the royal wardrobe. Enjoy. 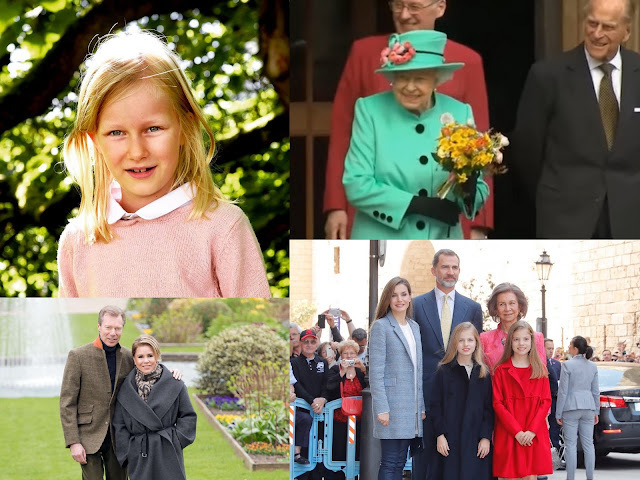 Spring State Visits have a style all of their own so this week there's a look back every day at five of the royal wardrobes that have taken a starring role in the recent, big, regal events. 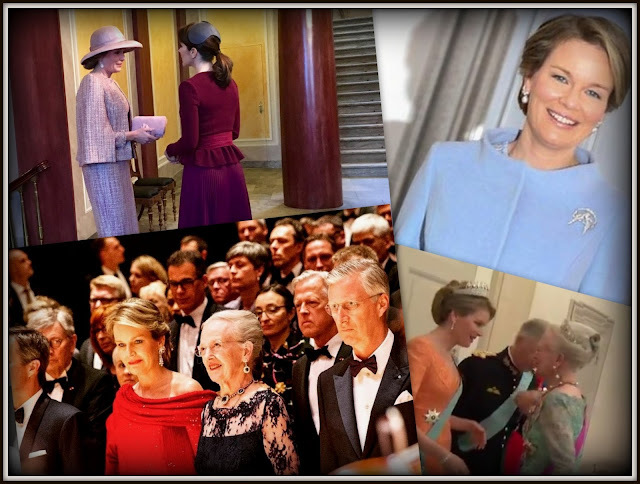 Catch up with Queen Maxima of the Netherlands and Queen Margrethe of Denmark and settle down for a trip down (very recent) memory lane with a whizz through the wardrobe of Queen Mathilde of the Belgians during her time in Copenhagen. We've got spring colours, we've got a mini cape, we've got a dose of orange that might knock you sideways. We've got Spring State Visit style. Enjoy. Many a bride is expected to look like a princess on her wedding day but when you're actually marrying a prince and getting the whole HRH as a result, the pressure to be picture perfect is huge. Princess Claire of Belgium rose to the challenge and then some when she became a royal bride on April 12th 2003. 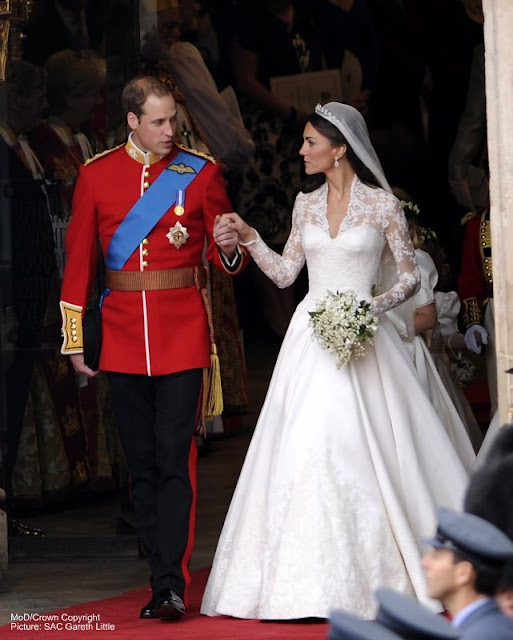 Her royal wedding dress is a 21st century classic - let's celebrate it all over again on her wedding anniversary. You want style, you need Daisy. 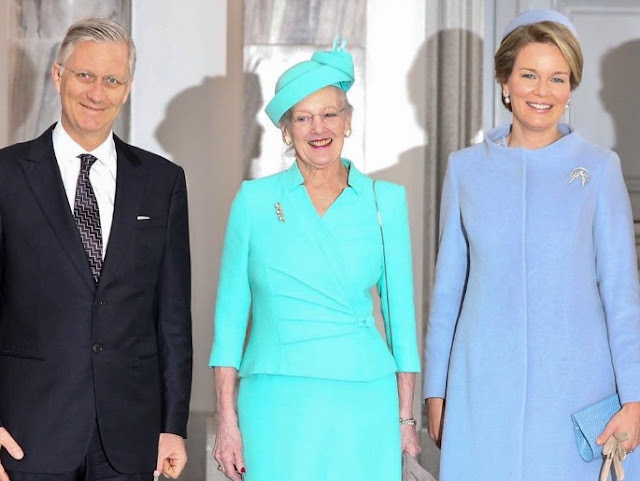 Queen Margrethe of Denmark has a chic all of her own and it was on display and then some during the recent Belgian State Visit. 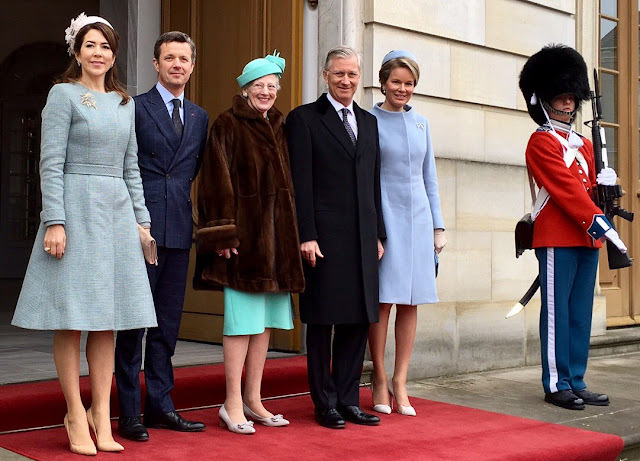 The Danish queen looked tip top and tickety boo throughout the three day stay and she features in part two of this week's look at Spring State Visit Style for 2017. 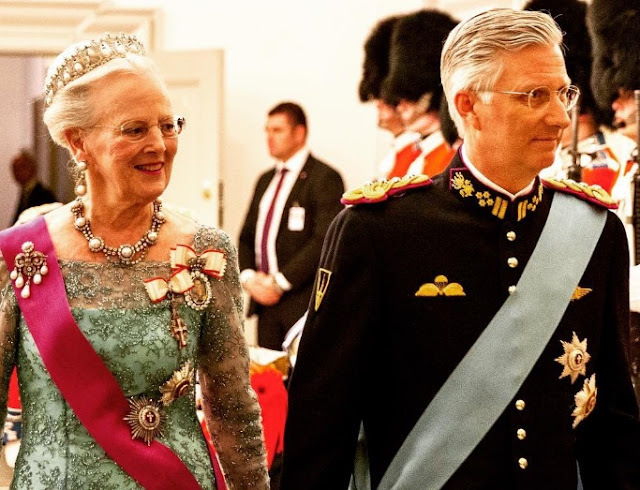 Here's what Margrethe wore as she hosted the Belgian State Visit to Denmark. 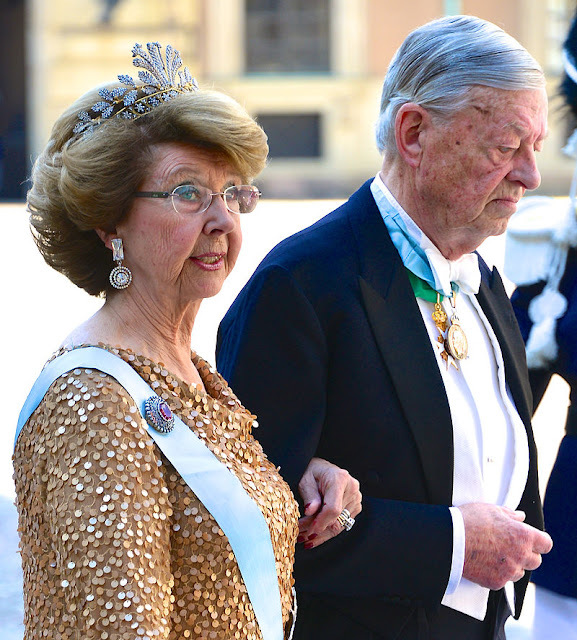 The husband of Princess Desiree of Sweden, Baron Niclas Silfverschiold, has died. He was 82. The Swedish Royal Court announced that the brother in law of King Carl XVI Gustaf had died on April 11th 2017 in a short statement. 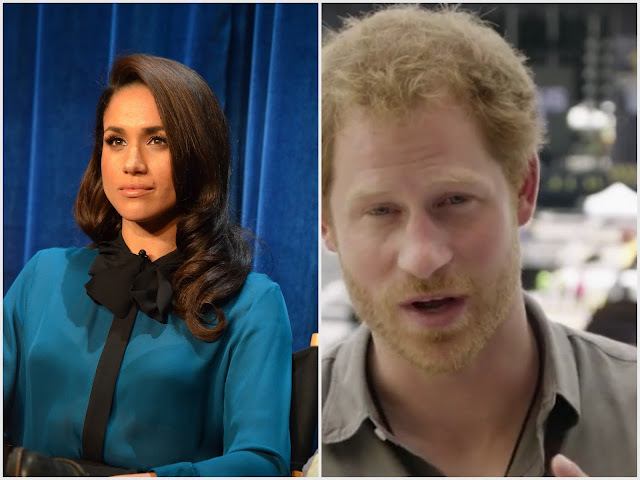 Perhaps it's another sign of just how popular royalty and royal history has become. The Crown, only available on subscription channel Netflix, is leading the way in the nominations for this year's TV BAFTAs. The first series, which focused on the accession and early years of the reign of Elizabeth II, is up for some of the biggest awards of all - it will find out whether that nomination love turns into prizes next month. In the end, the first bright days of April couldn't quite shake off that evening feeling. But when you're confronted with a velvet look as dramatic and, well, stylish as the one that Queen Letizia chose on a night out on her recent State Visit to Japan, that's not really a surprise. Letizia's Night Garden gown takes this week's Royal Wardrobe poll. You've got to love a State Visit. This spring has been bursting at the seams with them as red carpets are rolled out, tiaras are dusted down and national anthems are played until the poor trumpet player needs a lie down. And State Visits mean the A game when it comes to the royal wardrobe. So all this week, there's a look back at the spring style that has come with this latest round of big events. 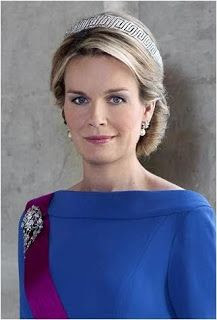 A different royal every day, starting with the Queen of the Netherlands who just hosted the President of Argentina and his wife. Here's Maxima's Spring State Visit style. 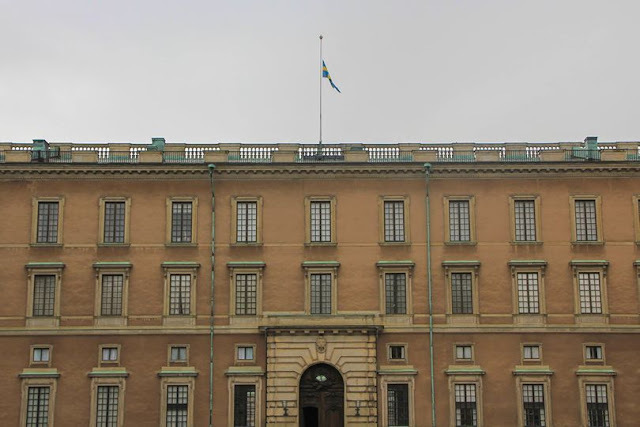 Royalty from around Europe has sent condolences to Sweden following the attack in Stockholm on Friday, April 7th, in which four people were killed. Fifteen others were injured when a lorry drove into pedestrians in Drottninggaten in the city centre. Earlier today, Sweden's royals joined many around their country in observing a national minute's silence for those affected by the attack. The royal week just gone has been hard, with sad moments among the regular round of State Visits and official trips. Here it is, in 60 seconds. Don't panic, this isn't a bad romance novel masquerading as a royal blog. There's been a lot of lace and a lot of floral in this week's Royal Wardrobe so that's where we're heading. Off to the flowers and the lace. Luckily, the two haven't been completely combined otherwise we might hit saccharine overload. Here are five outfits from the royal week just gone and the poll is on the left (you might need to switch to webview) and at the bottom of the page - as always, pick the look that best sums up royal dressing in 2017 for you. The romance novel is next week - only joking. Maybe. 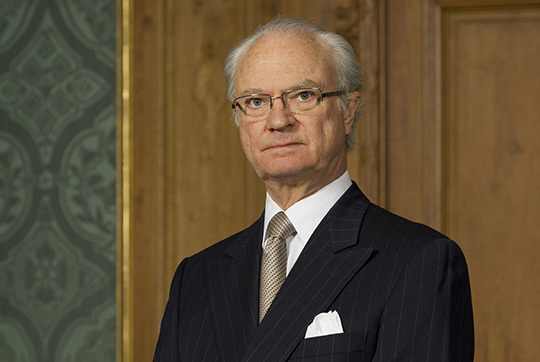 King Carl XVI Gustaf of Sweden has spoken to his fellow countrypeople following the attack in central Stockholm on April 7th which killed four people and left fifteen injured. The King of Sweden was in Brazil at the time but returned home immediately. 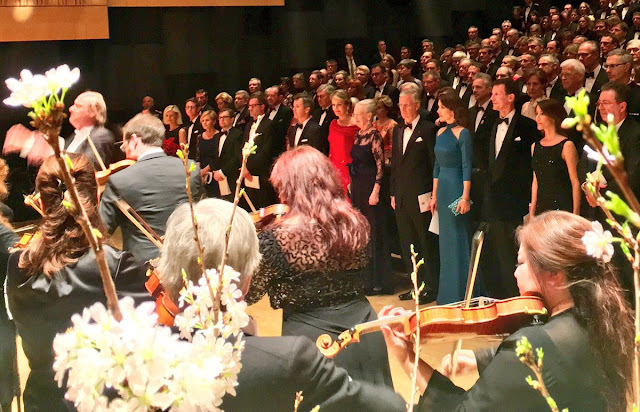 Almost as soon as he landed, Carl XVI Gustaf gave a public statement filled with sadness, comfort and words of determination for the future. 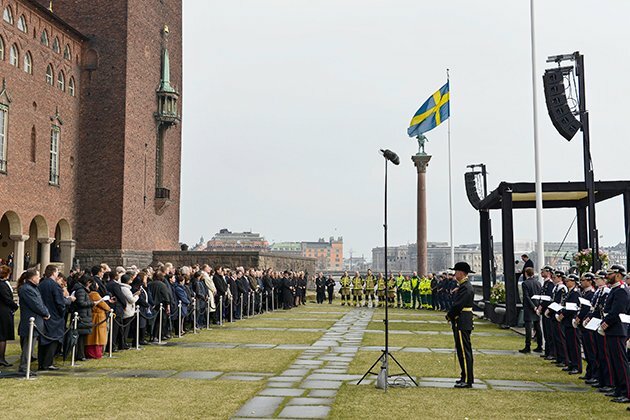 Crown Princess Victoria and Prince Daniel of Sweden have paid their respects to those killed and injured in the attack in Stockholm on April 7th 2017. Four people died when a lorry crashed into a busy shopping area. Fifteen are injured. The royal couple walked to the site of the attack, hand in hand, to pay their tributes. And speaking afterwards, Crown Princess Victoria told reporters that she felt a 'huge sadness and emptiness' after the attack and added that Sweden would emerge from the grief 'together'. 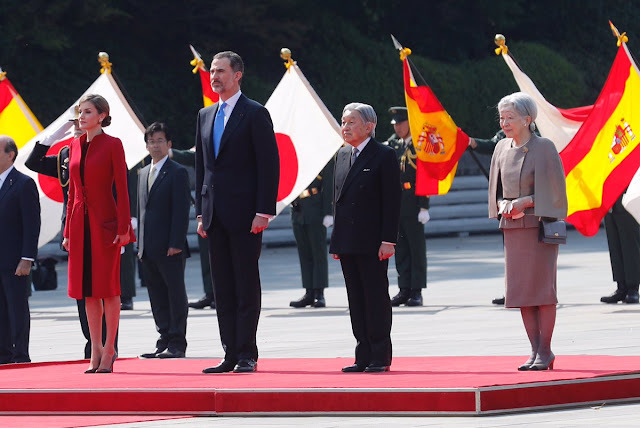 If you're looking for a word to sum up the State Visit of King Felipe VI and Queen Letizia of Spain to Japan then elegant might just cover it. This was a streamlined visit and a major moment for the royal couple who found their agenda somewhat truncated in 2016 because of the ongoing political situation in their country. Their State Visit diary was back on ice but now the thaw's set in, everything's looking rather rosy. This was a streamlined event - the couple, particularly Felipe, have a lot to pack in now that they're back in full royal swing - but ticked all those State Visit boxes we've come to expect. So, relax, you are definitely getting a tiara. 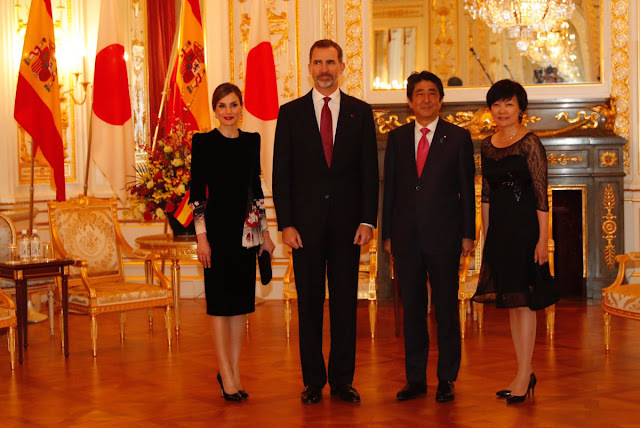 Here's the Spanish State Visit to Japan in all its chicness. Did a royal wedding for Harry and Meghan just move closer? OK, calm yourselves but Meghan Markle has shut down her lifestyle website. Admittedly, it's not exactly a formal announcement on the steps of Buckingham Palace and a press conference complete with stunning sparkler, but it does seem rather significant. Visitors to The Tig, the site where Meghan has been sharing tips and motivational messages for the best part of three years, found the words 'Farewell, Darling' at the top of its tab and a simple message from the royal duchess in waiting, sorry, its editor in chief. To sum the words up, The Tig is no more and suddenly lots of people are getting really rather excited indeed. 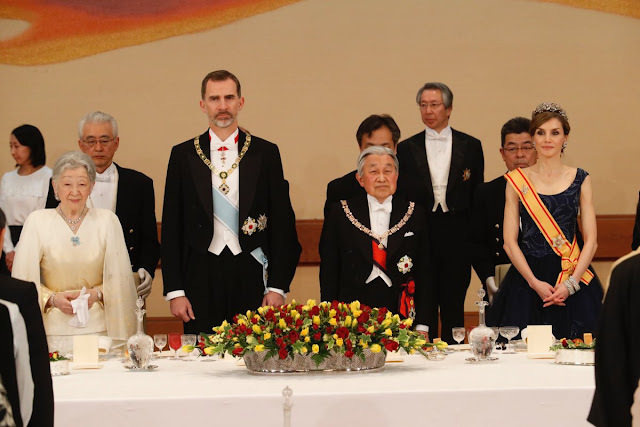 After all the excitement of her last State Dinner appearance and her debuting of La Buena, things were back to (diamond studded) normal for Queen Letizia as she and King Felipe were guests of honour at a gala evening in Japan. For the State Dinner in Tokyo, Letizia chose the diamond Floral Tiara which has been so popular with her and her in laws in recent times. In fact, it's been a glittering go to for many years. 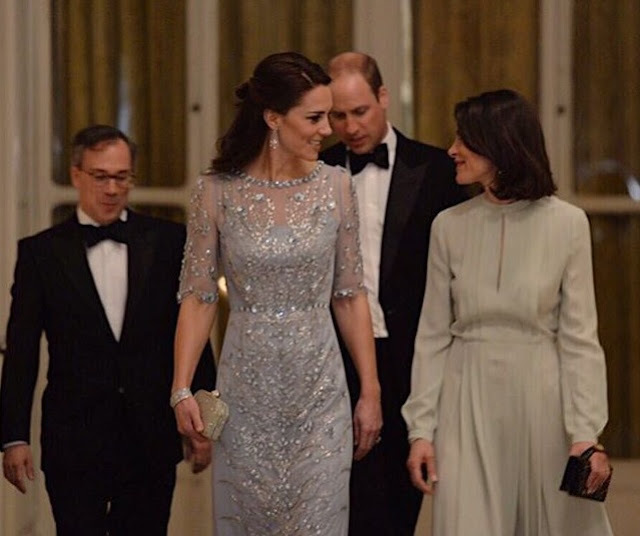 Amidst all the glitter of a gala week, two outfits sparkled their way to the top of the Royal Wardrobe poll. There wasn't so much as a sequin between Queen Mathilde of the Belgians and Crown Princess Mary of Denmark in the quest to find the dress that best summed up royal gala dressing right now. This is one tie that dazzles and then some. Wedding season has begun. While the summer months of June and July might welcome the most brides and May has a certain traditional ring about it, there are plenty of troths being plighted once the days lengthen and the sun shines more brightly in April. And royal brides are no different. April brings regal weddings aplenty so here is a look back at six times we celebrated the joy of royal brides on their special days. The Duchess of Cambridge is attending a gala performance of one of the most famous musicals of them all tonight, 42nd Street. Kate has hotfooted it to the Theatre Royal Drury Lane for a night of song and dance, all in aid of one of the charities closest to her heart - East Anglia Children's Hospices. It's the opening night of a new run of this famous show in London's West End and to add to the red carpet, we've got a duchess in red as well. 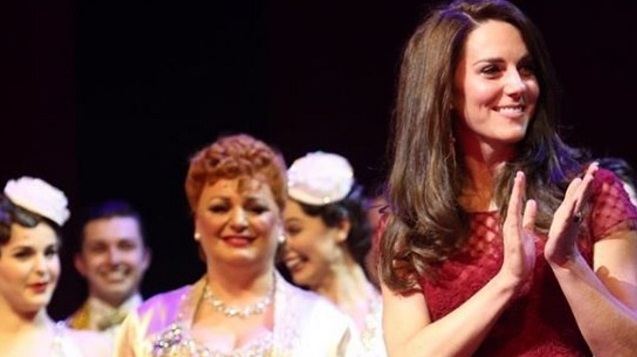 Kate has been dazzling alongside some of the biggest names in town as she arrives at this theatre special. Here are the first photos of Kate at 42nd Street. Here's the question. The royal story that generated the most coverage, column inches and interest in March 2017 was easily Prince William's ski-ing trip to Verbier that meant he missed the annual Commonwealth Day service attended by the Queen. But will it be what the month is remembered for? Social media is a useful tool for everyone and what the official royal accounts share, and what gets the hearts there, tell us a lot about the image they want to portray and the image people want to see. Of course, we wouldn't expect the official Kensington Palace Instagram to post pics of Wills on the slopes of Switzerland and ask for comments. But while there was a lot of heat and fury about his visit to Verbier, the power of the photos taken in Paris and posted on the official Instagram has cooled some of that down. If a picture is worth 1,000 words then multiply that by the number of likes and suddenly, we have to ask if March 2017 will actually be remembered for hearts in Paris? In modern royal Europe, April really is birthday month. As well as the majority of monarchs on the continent blowing out candles in the coming weeks (you can find all of them here if you want to send a card) there's a plethora of princes and princesses - siblings, cousins and grandchildren - who do the whole cake and balloons thing in April, too. Plus, we've got a couple of landmark celebrations coming up too. It's a birthday bonanza, royal style. Here are the April royal celebrations (monarchs not included). Three kings, two queens and one Grand Duke all have special days this month. Yep, the chances of a head of a European ruling house being born in this sunny month are pretty high - six out of ten isn't a bad batting average. We've got a half century coming up among them as well - this is a month full of very royal anniversaries indeed. Here are six royal birthdays that rule in April.